'VEGA INTL. 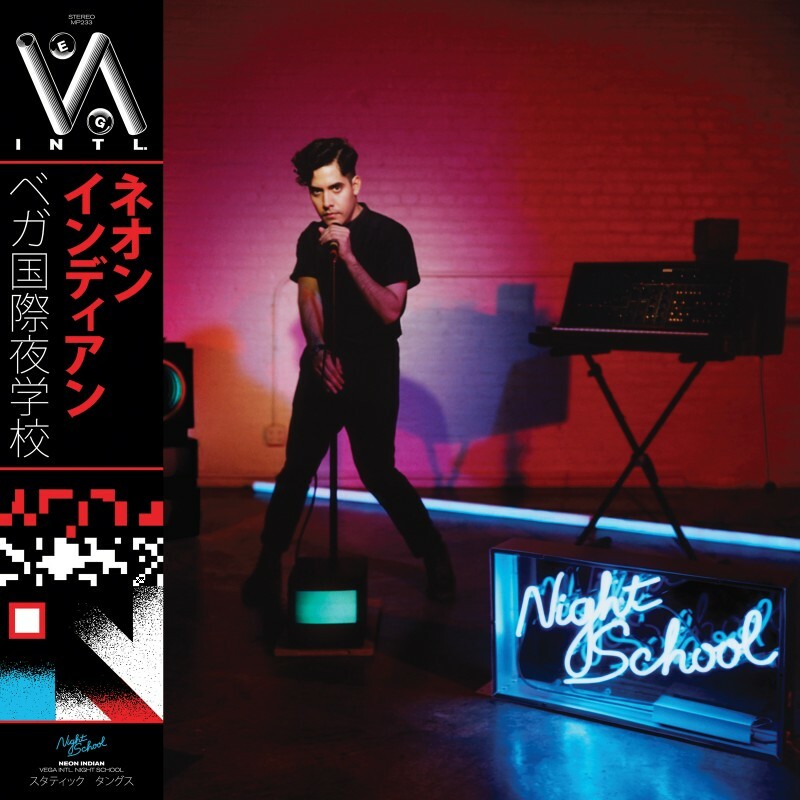 Night School', the incredible new album from Neon Indian, is OUT NOW. The album has been picking up phenomenal reviews, including an 8.6 from Pitchfork, 'who called the album the most deluxe, comprehensive Neon Indian album yet'. The new record is Alan Palomo’s flawless bridge between the lofi and spontaneous sounds of Neon Indian & the more dance-oriented approach of his earlier recording moniker, ‘VEGA INTL. Night School’, and features the awesome singles 'Annie' and 'Slumlord'.